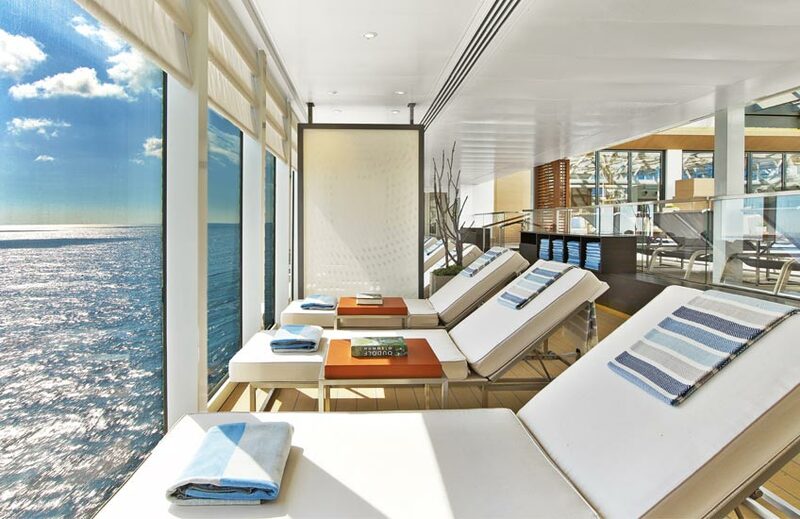 For many of us, the interior design of where we choose to rest our heads while on holiday is as important as the destination itself — cue these, the most luxurious cruise ships in the world. If you’re deliberating an ocean-bound sojourn and luxury design is a prerequisite, then look no further than this edit of lavish cruise ships for your next adventure. Built in 2003, this luxury cruise ship is as decadent in its choice of stops on its around-the-world voyages as it is in its interior design. It describes itself as being able to ‘enchant with an unrivalled chic elegance’ and boasts six-star service levels and Michelin-level gastronomy. Instead of offering rooms, it has a selection of sublime retreats, ranging from suites to penthouses, some with private verandahs and attentive butlers. Unsurprisingly, the decor is plush without appearing ostentatious and showing an inclination towards deep padding and quilting on its upholstery and headboards and high-end materials such as marble, supple leathers and deep-pile velvets. 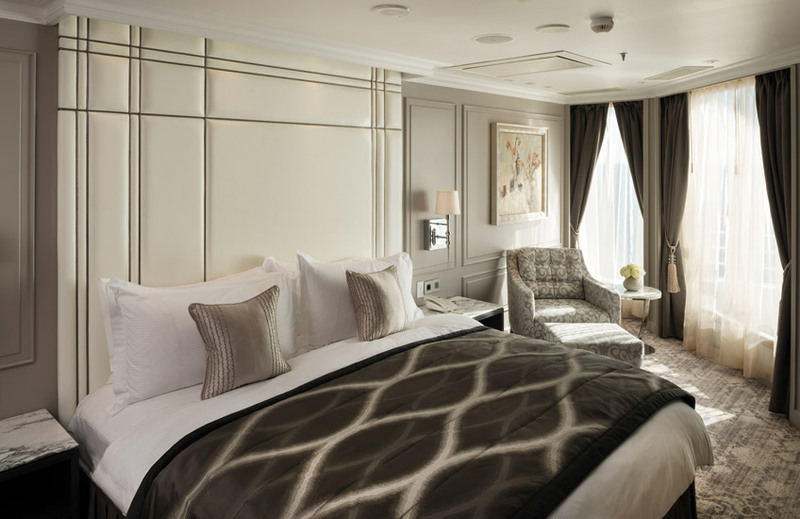 One of the penthouse rooms even has Georgian-style wall panelling, a Swarovski chandelier, walk-in wardrobes and fully-lined curtains for its sizeable windows – a far cry from the stereotypical vision of a boat’s bedroom. Crystal Serenity even has one full-time resident who has lived aboard the exquisite vessel for more than ten years. Another exclusive cruise that’s been sailing for a relatively short period, Le Laperouse — named after the famous French explorer, Jean-François de Galaup — commenced her maiden voyage in June 2018 towards Iceland. Not only is it an elegantly designed ship, but it sets itself apart through its environmentally-friendly equipment and limited capacity (it has just 92 staterooms). Le Laperouse’s hallmark is of ‘a subtle blend of refinement, intimacy and comfort’ with a clear lean towards Scandi-inspired interiors through the use of blonder woods, pared-back form, and a light, bright colour palette. 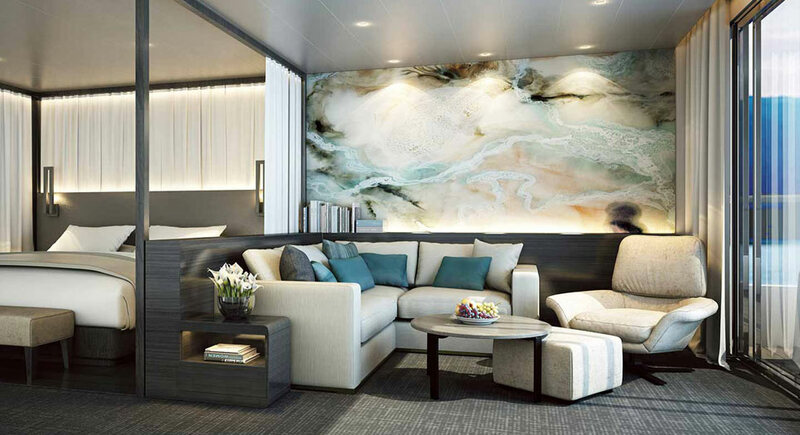 One of the newest and best luxury cruise lines, Scenic Eclipse are a group of ‘discovery yachts’ that launched in August 2018. The exterior design is a firm clue as to what to expect for this elegant vessel’s interior — swooping and graceful lines, generous proportions, and a deeply-considered and cleansing expression of simplicity and form. At the most sumptuous end of the spectrum is its two-bedroom penthouse suite which has the best views on board, but even its Verandah suites revel in the same attention to detail and well-appointed furnishings and finishes. Scenic Eclipse is a ship that maximises on the beauty of natural light with sheet upon sheet of curved glass to allow guests to absorb every inch of the outside vistas – perhaps its ultimate luxury. Another luxury cruise liner with a dedication to the world of art. 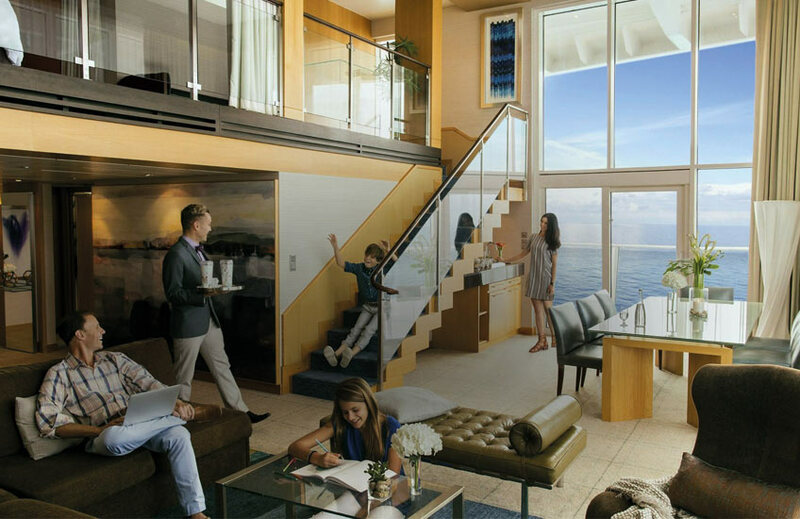 Seabourn Ovation holds over 1,600 works of art, exhibiting pieces by more than 100 artists. 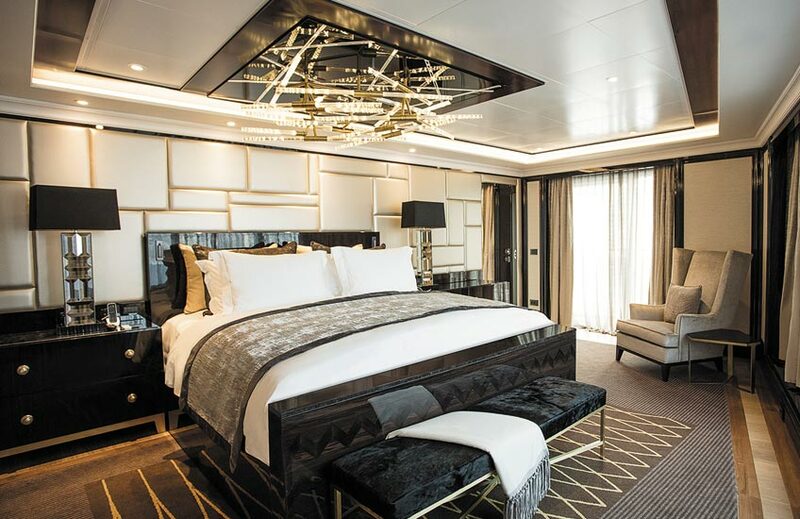 Art aside, this prestigious, 300 suite ship has rooms designed in a way that either entirely encases the bedroom in a separate space, or at the very least uses partition cabinetry so that what is in effect an open-plan room, feels divided. It’s a technique that make the suites feel larger still. Seabourn Ovation has also fast become known for offering luxury levels of entertainment with five restaurants, a salon and even a casino. A fine example of Italian-designed luxury cruise lines, the Seven Seas Explorer has been in service for just a few years, heading out to sea for the first time in July 2016 after being christened in Monaco. 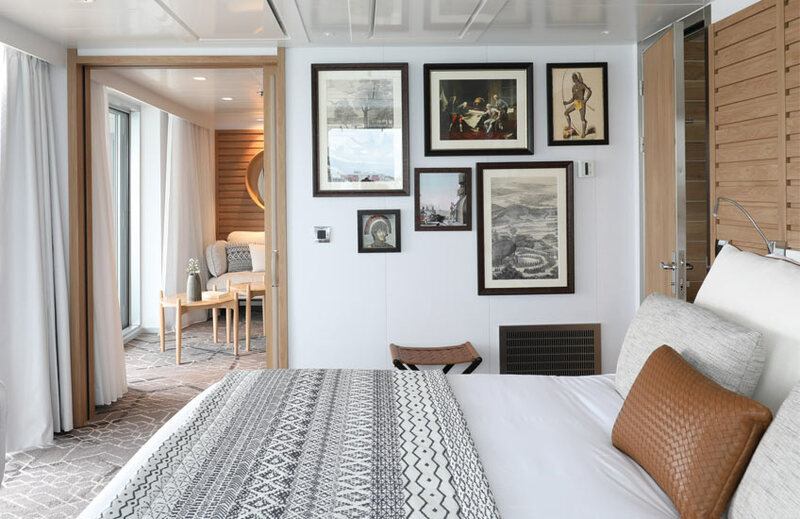 One of the talked-about characteristics of the ship is how its president Frank J. Del Rio commissioned hundreds of specific artworks to be used on board and that the bed belonging to the Regent Suite cost $115,000. 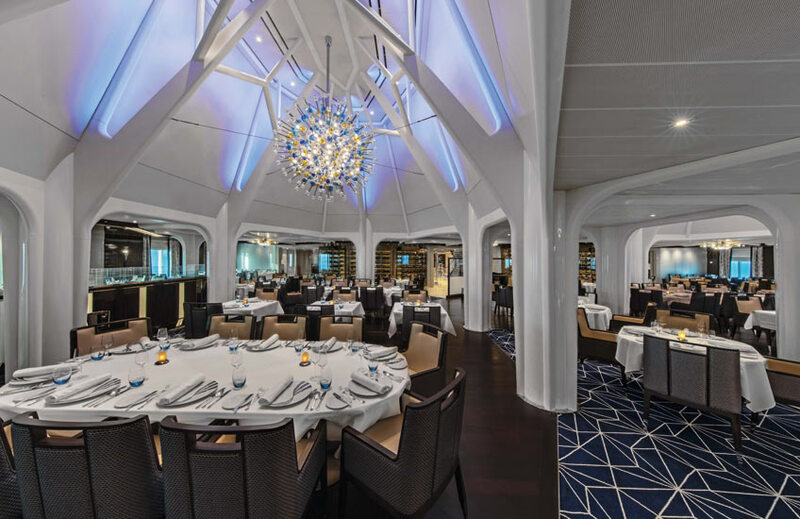 In terms of its aesthetic, the Seven Seas Explorer is unquestionably glamorous and sleek. The upholstery fabrics are lustrous, the woods are dark and sultry or buffed with a mirror-like sheen, and there’s a great amount of glossy black and gold finishes. Most of the beds are king-sized as a minimum, the bathrooms are marble and every room — or suite as they’re called — has its own private balcony. Often reported as being one of the most expensive cruise ships in the world, Silver Muse from Silversea, is its newest flagship. Accommodating shy of 600 guests, Silversea’s fleet all promise to provide small-ship intimacy within a luxuriously spacious environment. Its interiors err closer to traditional with classic sofa shapes and window treatments, muted colour schemes and furniture choices. This is juxtaposed with the vibrancy of contemporary design seen in parts of the ship such as the Arts Café. Owned and run by Royal Caribbean International, Symphony of the Seas takes the prize for being the world’s largest cruise ship. While its dimensions and weight are evidence to that, it’s aspects of the interior that show the sheer size and luxury of this cruise liner. On board is a central park with over 20,700 tropical plants, a 1400-capacity Royal Theatre, a zip line, an ice skating rink, and seven neighbourhoods. 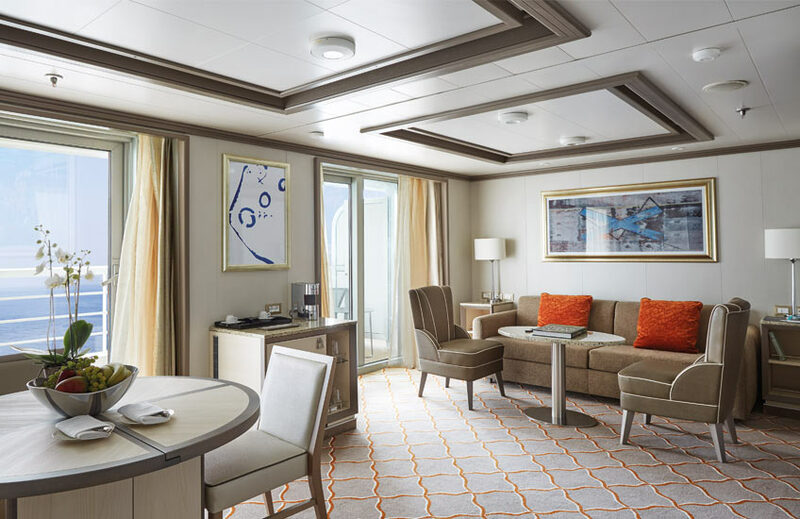 Being such a mammoth ship, its interior decor ranges quite a bit from its standard to higher category rooms. Its more exclusive suites are certainly worthy of appreciation though — some are mezzanine and split-level layouts with grand pianos. Just skip the Ultimate Family Suite which, while thrilling children, misses the mark for more sophisticated adults. Award-winning and one of the most luxurious cruise ships out there, Viking Orion is one of world-renowned Viking Ocean’s Cruise’s most sublime vessels. Built in 2018 by revered nautical architects and designers, each of its room has a private veranda, king-size bed and underfloor heating. This is a ship for those who prefer classic schemes. Its aesthetic is one of safety and tradition with carpeted rooms, pleated curtains, and squared silhouettes over curves.